The sensitivity of any float is determine by the buoyancy of the tip. An insert waggler float has a thin tip which is fixed into what would be a straight waggler. A thin insert is less buoyant, so takes less to sink making the float more sensitive. Insert wagglers can be used for fishing in the water column or the bottom. 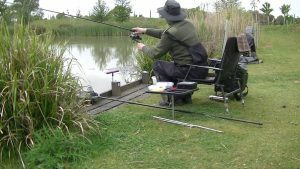 In this article I will be concentrating on fishing the bottom. I have already written an article about fishing the water column called “Fishing on the drop for Roach and Rudd“. An insert waggler uses the standard waggler shotting pattern. 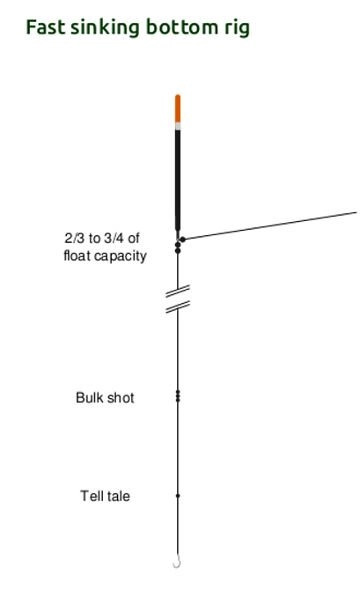 Around the base of the float, put two thirds to three quarters of the floats total shot carrying capacity. Add a No.6 tell tale shot eight inches from the hook. Make up the rest of the shotting with a bulk of shot, twelve inches above the tell tale. Use enough weight to leave just half an inch of float showing at the surface. Light lines are used with a main line of no more than four pound breaking strain, to balance the sensitive nature of this float. I prefer to use three pound line on most occasions with a weaker hook length of down to perhaps 1lb. As for bait, anything from a single maggot, to sweet corn on hooks from 22 to 16. There are several species of fish known for their shy biting. Crucian Carp, F1’s and larger Roach, but there are times when it seems every fish in the lake is being cautious. It’s for these times when the Insert waggler is best. We can take advantage of the fact, that the fish has to pick up the bait in order to eat it. When the fish lifts it’s head to eat the bait, it also lifts the tell tale shot. The tell tale is no longer helping to pull the float down so the float will rise in the water. A No.6 shot on an ordinary insert waggler is usually equal to about half an inch of the insert. So with the fish supporting the weight, the float will come up and show a lift bite of half an inch. Having the tell tale close to the hook makes the rig more sensitive, because the tell tale is lifted sooner. 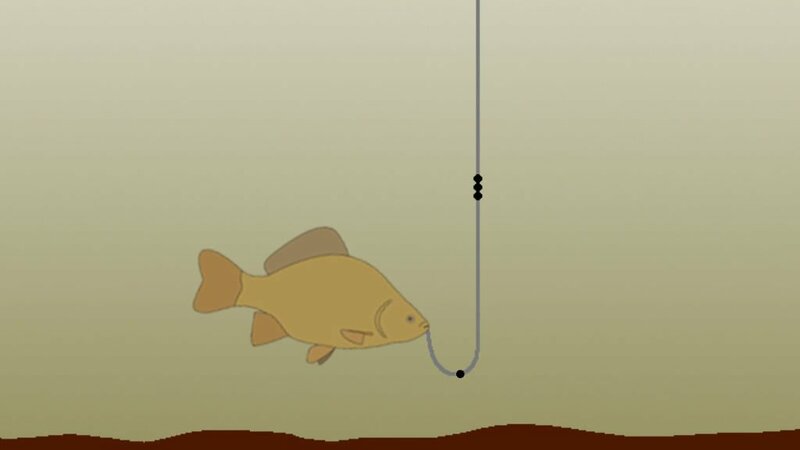 With the tell tale further up the line, the fish has to move further up in the water to cause a lift bite, making the rig less sensitive. But if the tell tale is too close, the bite will register before the fish has the bait properly in it’s mouth. It would be unusual to have the tell tale closer than four inches. Experimenting with this distance will determine what works the best on the day. But it could be from four inches right up to twelve inches. 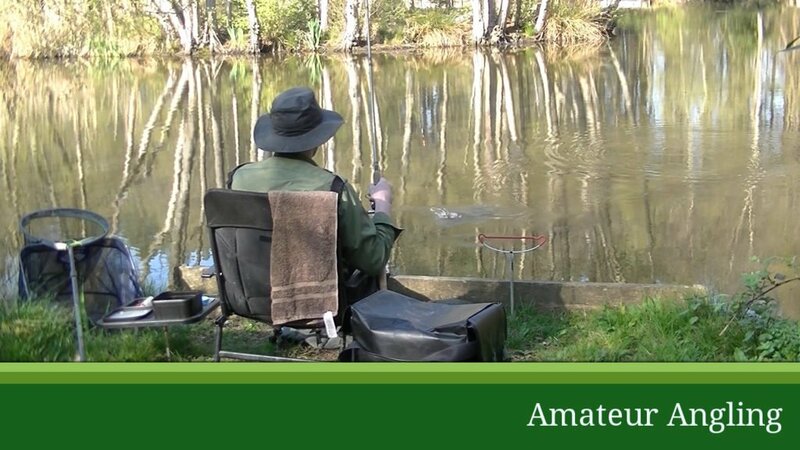 To help detect a delicate pull under bite, add more weight under the bulk to cause the float to sit lower in the water. Add enough weight to leave the barest minimum of float at the surface. This is called dotting down. With such a small amount of the float showing, the rig is now super sensitive. The float will pull under with virtually any movement of the bait. To get the maximum sensitivity from an insert waggler, have the tell tale shot four inches from the hook and dot the float down. Use an insert waggler float when targeting a species know for shy biting. Or if you notice your bait is chewed or missing when you reel in. Winter fishing for Roach is often better with a sensitive float too. 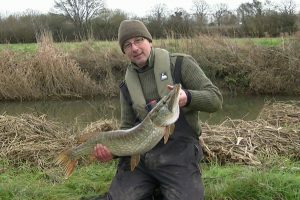 Sensitive wagglers are often no use on a river, the current will just keep pulling the float under. The only exception to this is a very slow river or a canal. 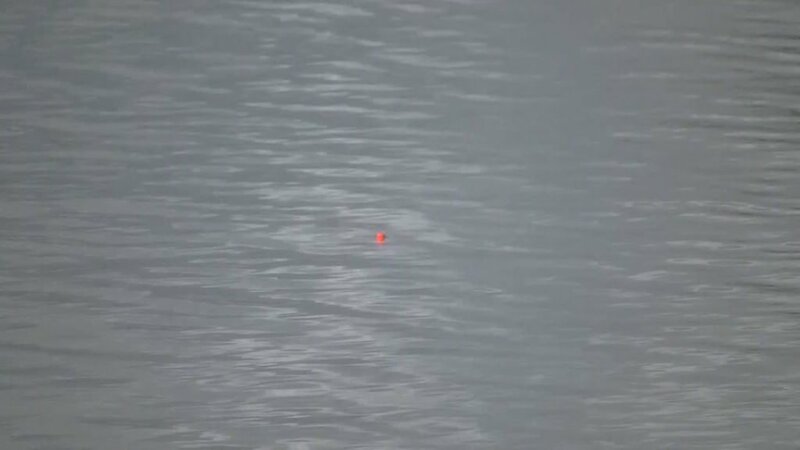 You may not be able to use an insert waggler If there is a lot of surface movement, or undertow caused by the wind. Once again the float can be pulled under. A sensitive float may show too many line bites, due to fish in your swim actively feeding and moving around. This can cause foul hooked fish or missed bites. It makes sense to use as light a float as possible, but as with all floats there are limits. Movement of the float will be transmitted down the line to the bait, causing the bait to bob about. No fish is going to take a bait that is acting in an unnatural way. 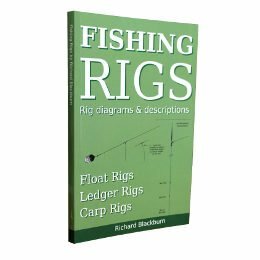 A larger float will be more stable and should catch more fish.